Red Cadeaux has finished second three times in the Melbourne Cup. (Pic: Courtesy of Great British Racing). The large number of English and Irish horses being prepared to travel to Australia for the Emirates Melbourne Cup continued this week as several more contenders entered quarantine. News today that Goodwood Cup winner Big Orange has gone into quarantine follows reports this week that the Aidan O’Brien trio Bondi Beach, Order Of St George and Kingfisher have also gone into confinement at Ballydoyle ahead of the 3200m race, which is contested at Flemington on November 3. The weights for the 2015 Melbourne Cup – which permits a maximum field of 24 runners and this year, carries total prizemoney of $6.2 million (AUS) – were revealed on September 15. Snow Sky, Order Of St George, Bondi Beach, Big Orange, Red Cadeaux, Trip To Paris, Fields Of Athenry, Max Dynamite and Sky Hunter are the English and Irish contenders already in the top 24 in the order of entry for the prestigious handicap that offers $3.2million to the winner and $900,000 to the runner up. Newmarket trainer Ed Dunlop has already finished second three times in the Melbourne Cup with Red Cadeaux who has contested the past five runnings and the trainer appears to have a strong hand in this year’s race. 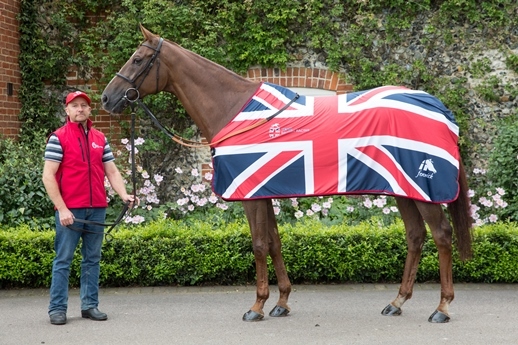 Dunlop could have as many as three runners this time, as he has entered Red Cadeaux, Manndawi and Ascot Gold Cup winner Trip To Paris who arrive in Australia this weekend. “Red Cadeaux ran a great prep race at Newbury in the Geoffrey Freer and goes into quarantine in as good a condition as I think we’ve ever sent him,” Dunlop said when the weights were announced. The large number of high quality entries from England and Ireland has delighted officials. “The calibre and size of this year’s Team British Racing raid on the Emirates Melbourne Cup means that 2015 could well be our year,” Great British Racing International’s international executive, Carter Carnegie, said.